End the Year Right! And start the New Year with a Bang!! That's how I like it, and this year is no different. We light up fire crackers, spend the night with family, then do a countdown to the new year! More often than not just watching the television light up with all the firecrackers at exactly 12 midnight, cause it can be quite toxic when you're out there if you know what I mean. 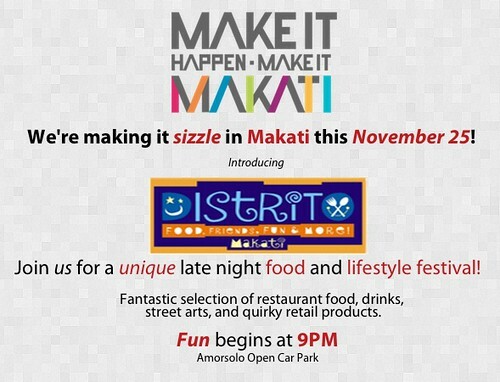 But there is one special addition to this year's "Medya Noche". A good friend and fellow foodie Irene, gave us a minicake. 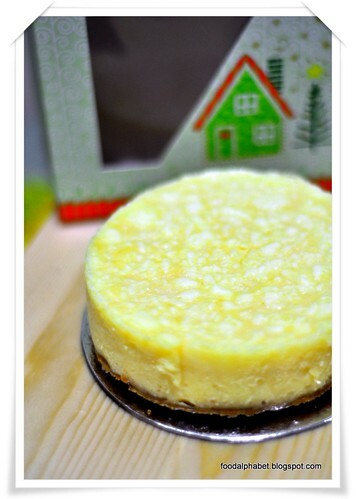 Not just any minicake, it's her signature Queso de Bola Cheesecake! Do you love cheese? Then you will fall head over heels with this one. Can you just imagine, the best cheesecake mix made of only choice ingredients top it up with only the best queso de bola there is. And what do you have? Cheese heaven!! Just look at that lovely cheesecake... ahhh!!! Can't hold myself any longer! I remember the first time I took a bite at Irene's Queso de Bola cheesecake, we were quite a bunch and as soon as I wanted second servings the whole cheesecake was gone, I was too slow. 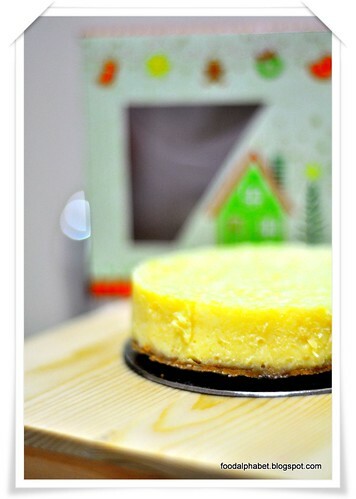 Just look at how thick and creamy it looks, trust me it tastes so much better than any other cheesecake in town. That's why it has always been my habit to first get my share of Irene's Queso de Bola cheesecake whenever The Food Club visits her place, before diving into other dishes... bad me hahaha. Anyways, I am so glad to share to you guys that Irene is now selling her signature Queso de Bola Cheesecake. All Cheese for the price of only P900 for a 9" cake, and P200 for her minicake (4.5") with a minimum of 4 minicakes per order. It's always refreshing to have something new to partake this Medya Noche, and this year make it Irene's Queso de Bola Cheesecake. Call Irene now at 0922-8303900. 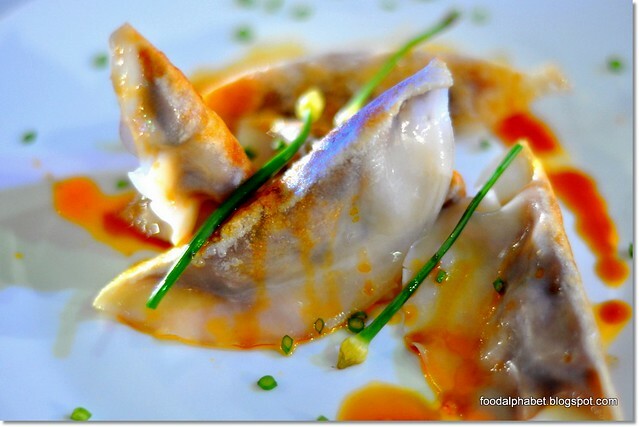 Order now for Medya Noche and spread it over to the New Year. Enjoy! 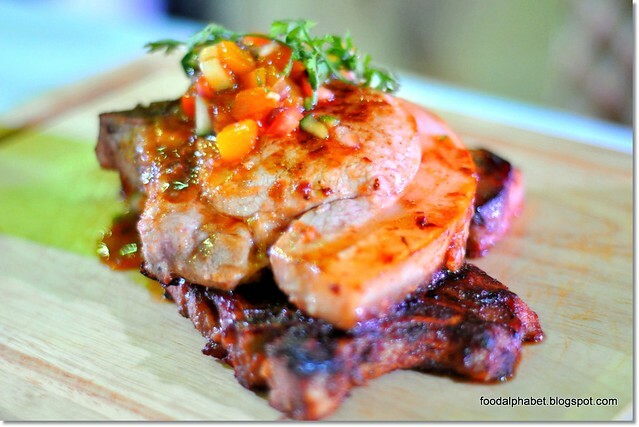 In the middle of bustling Bonifacio Global City, a new landmark has stretch forth its wings with a new dining place sure to capture your hearts. 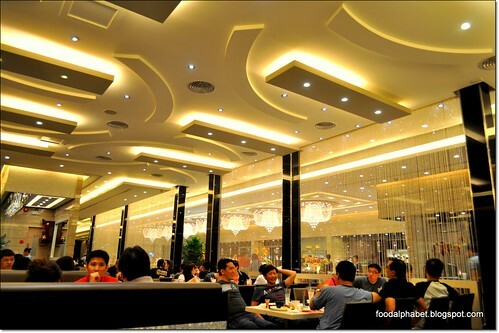 "F"
In Manila, only quite a few places in the metro serve fresh cooked Teppanyaki treats and the best is found here at Manila Diamond Hotel's Yurakuen. 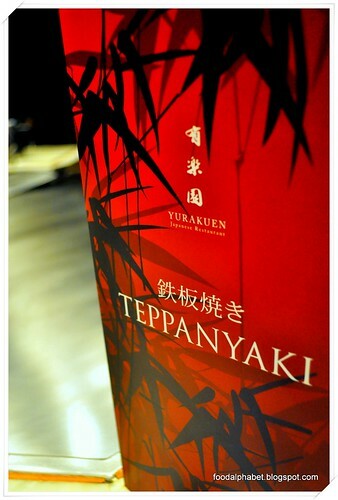 Teppanyaki (鉄板焼き teppan-yaki) is a style of Japanese cuisine that uses an iron griddle to cook food. 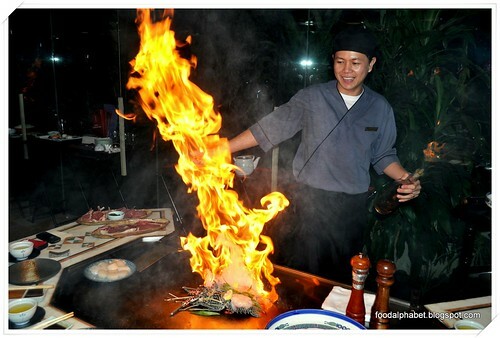 The word teppanyaki is derived from teppan (鉄板), which means iron plate, and yaki (焼き), which means grilled, broiled or pan-fried. In Japan, teppanyaki refers to dishes cooked using an iron plate, including steak, shrimp, okonomiyaki, yakisoba, and monjayaki. 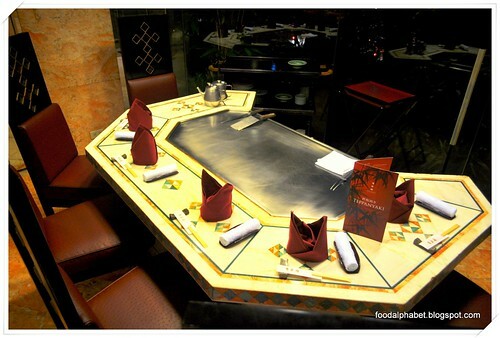 Modern teppanyaki grills are typically propane-heated flat surface grills, and are widely used to cook food in front of guests at restaurants. 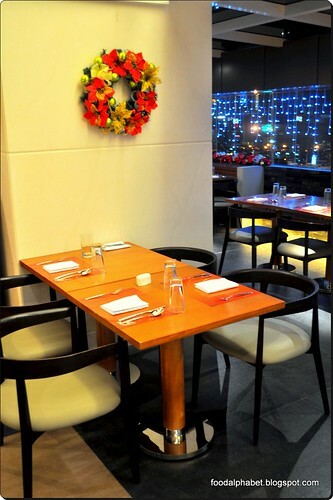 Upon setting foot at Yurakuen, you feel like you have been transported to Tokyo, with all the Japanese designs, architecture and of course servers in full Japanese Kimono costume, seems like we are indeed in for a Japanese treat! 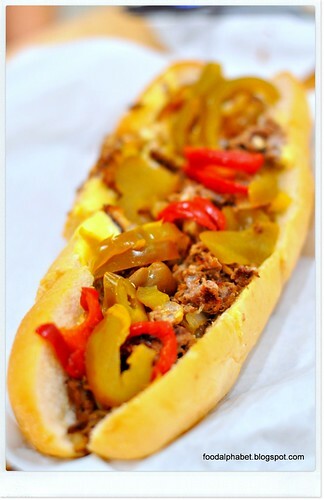 Filipinos love food. 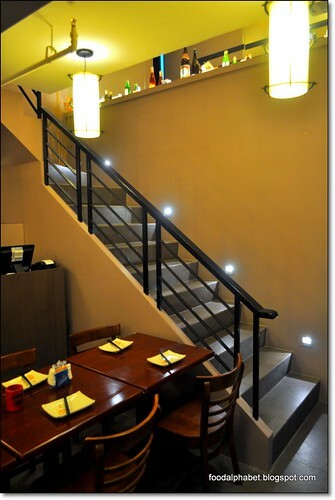 Maybe it be Chinese cuisine, Japanese maki, French specialties and even American favorites that include burgers and the like. 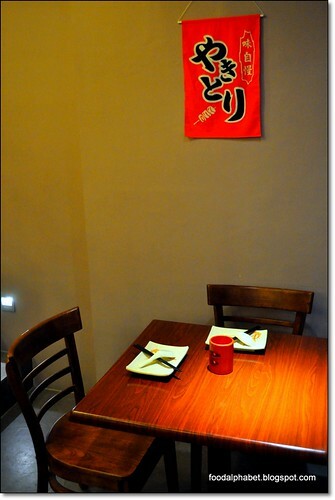 We already have our dinners plans even as we are having our lunch, that is how we are so attached to our food. 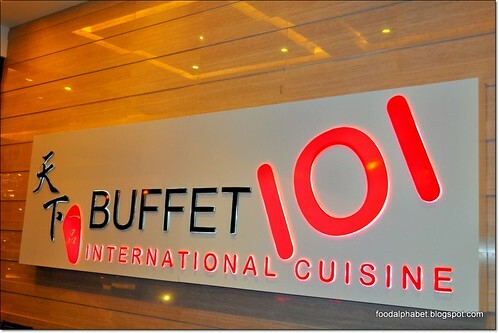 And luckily someone out there heard us and they are Buffet 101. 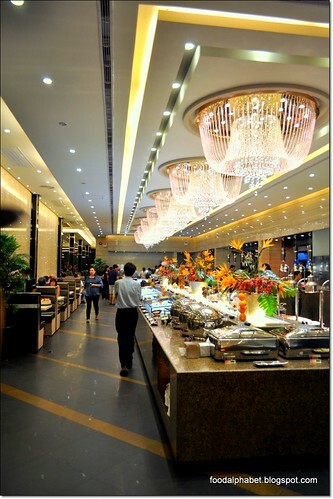 Buffet 101 features international cuisines from all over the world, expanding through 4 continents with mostly Asian culinary favorites. 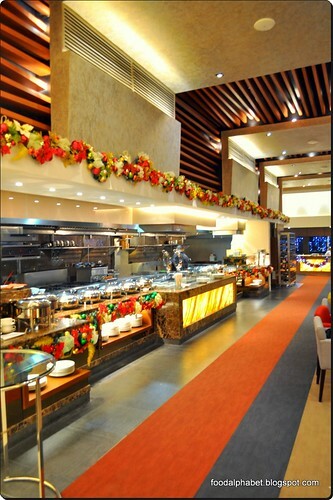 Buffet 101 features a five-star hotel dining setting, giving you that lavish feeling with posh lights and decors, making your dining experience one you will remember and talk about for the next few days. Now let me take you to a food drooling experience, and indulge me as I take the rounds and experience food coma all over again. Good day The Food Alphabet followers!! 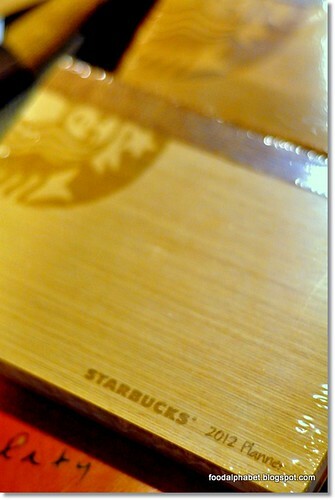 I would like to extend my heartfelt thanks to all who joined The Food Alphabet and Starbucks 2012 planner giveaway. It was indeed tough reading through 200++ entries, and sad to say some posts were still not viewable and others were not able to follow the steps properly. But at least you joined and learned how to join contests/ giveaways and maybe next time, you might bring home the bacon. Congratulations to all the winners!! Please check your emails for instructions on how to receive your prize. Thank you once again and Have a Very Merry Christmas and a Happy Happy New Year!! There are moments in our lives, we always look upon when we say, "I have indeed lived my life." And this is indeed one of those moments. 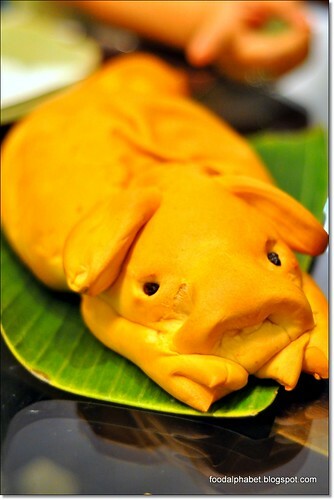 I have been invited to partake in a feast like no other, a feast of Lechon - Lechon Degustation at Pepita's Kitchen. I was the second guest to arrive, together with wifey, we were amazed on how colorful and delightful the place was set up. It was one of the homes we have dreamt of having maybe in the future. Later on friends of our host Ms. Dedet arrived and I was surprised how star-studded that night was. Win tickets to The Big Holiday Outlet SALE!!! - Win FREE tickets!! The Biggest, Greatest and the Grandest of the all!! The Big Holiday Outlet Sale 2011. Cap the year off with great discounts of up to 90% on all your favorite brands! You name it we've got it! So busy this time of the year and have yet to buy your gifts for your loved ones!! Here is the one-stop outlet sale you will ever need! Sponsored by BPI Express Credit Edge! Up to 90% off on NEW brands as well as favorite TBOS brands! 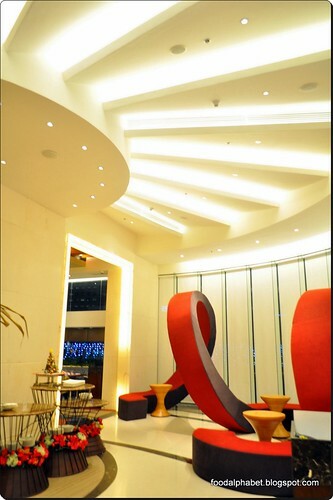 BPI Cardholders get FREE entrance with a Valid ID! Up to 90 % off on your favorite brands such as: Adidas, Nike, Puma, Maldita, Plains & Prints, R.A.F, JB Sports, Daniel Hechter, CMG, Melissa Shoes, Giordano Ladies, BOSE, Switch, Hush Puppies, Sebago, Cushe, Ipanema, Grendha, Digital Walker, Light Room, Skechers, Desigual, Repetto, HTC, Lenovo, Nokia, Philips, Canon, Timex, Monster Cable, And1, Gola, Ryka, Reva, Triumph and SO MUCH MORE! Don't have a BPI card? Fret not!! 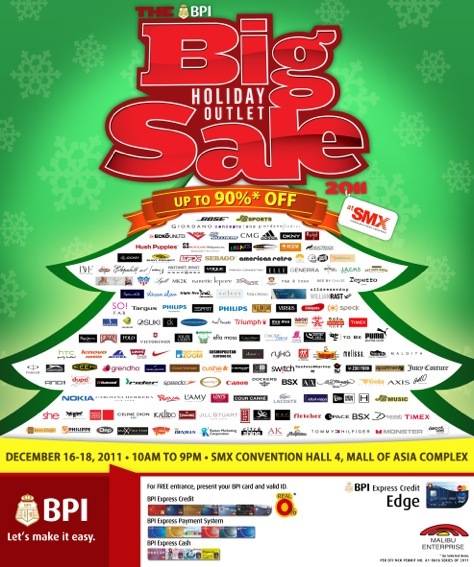 Because The Big Holiday Outlet Sale and The Food Alphabet is giving 25 of its readers 2 tickets each to enjoy the all out SALE coming this Dec. 16-18, 2011. How to win those tickets? Simple! Just follow the instructions to win 'em. Must like The Big Outlet Sale by Malibu Enterprise and The Food Alphabet on Facebook. Leave a comment below with your complete name and email address, that's it!! You will get 4 tickets each, total of 12 winners or 48 tickets in all. Last day to send your entries is on Dec. 14, 2011. 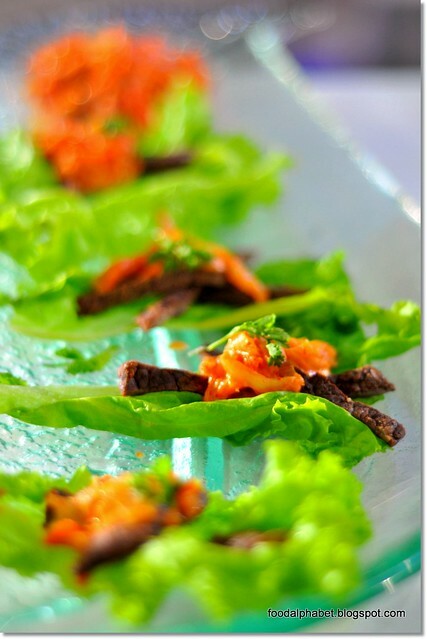 Winners will be included in the guest list for The Food Alphabet to gain access to the sale event. You know it’s Christmas time when everything starts to get bright and festive. 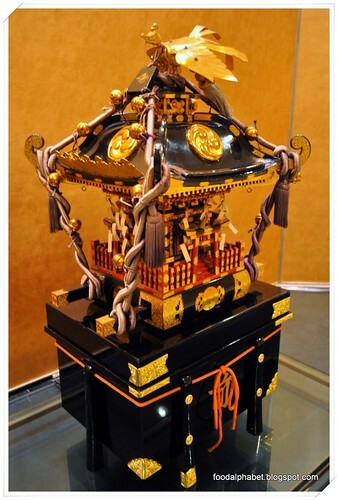 From shop displays to house gates and even down to street lamps. It never fails to bring smiles to faces as we anticipate our most celebrated day of the year. This year, Mister Donut is cooking up something special to make it even better. Introducing Merrygalos! 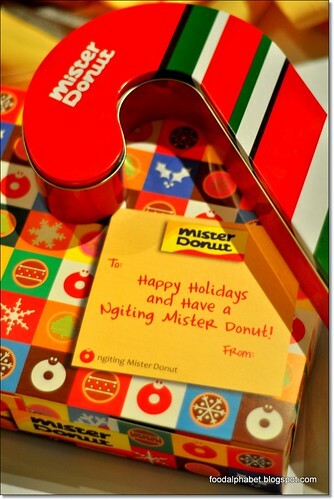 Mister Donut’s Holiday Offers which intend to bring smiles and a variety of gift options to those with Santa duties this holiday. 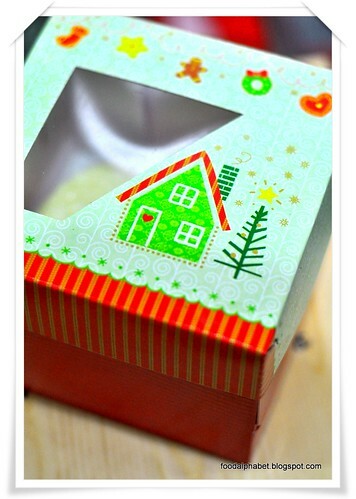 Merrygalos collection holds your favorite Mister Donut treats, jazzed up in time for the holidays. First off, Belgian Bites Tin Can. Nine Belgian Bites come in a special Christmas Edition Tin Can - ready to be given as a gift. All you need is a merry little note and you’re off to spread Christmas cheer. Who wouldn’t want to receive such yummy presents? 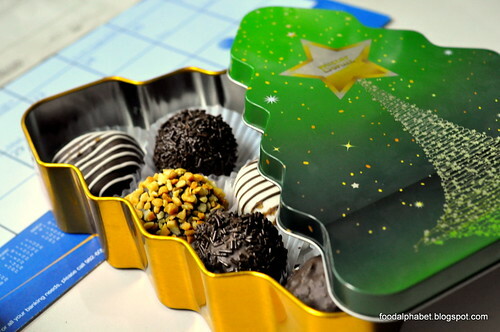 Each assortment comes in either a Christmas Tree (P170) or Candy Cane (P150) tin can. At such affordable prices, you can even gift one to yourself. You can also buy this in 3s (P36) or in 6s (P72) box also designed to be given as a gift. 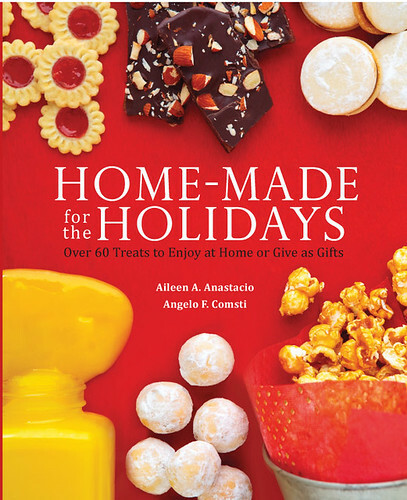 National Book Store launches "Home-made for the Holidays"
Fruits in Bloom - A perfect Christmas gift! "Deck the halls with boughs of holly, Fa la la, la la, la la la la"
Once in a while, an idea comes along, so wonderful that you just can't imagine living without it. 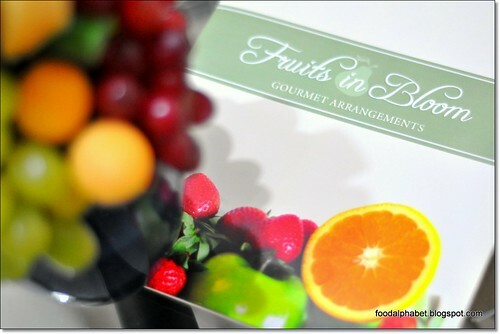 And so with that idea, Fruits in Bloom came into existence. 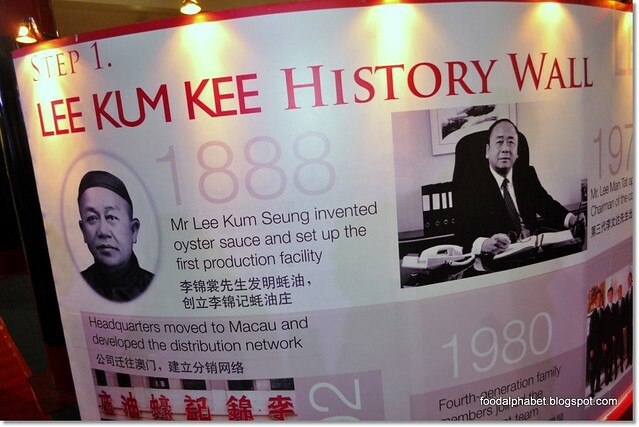 A proud invention of creative minds, fantastic ingenuity, a passion for the arts and a craving for love. Mario and Nenuca Benitez made their dream come true when they built Mario's right in Session Road, Baguio’s main street, the first Mario’s was born in 1971. Mario upfront and Nenuca in the kitchen. Word spread fast amongst the locals about a new restaurant downtown, offering delicious food and a very amiable, likeable, very garrulous host with a hearty laugh – Mario himself. 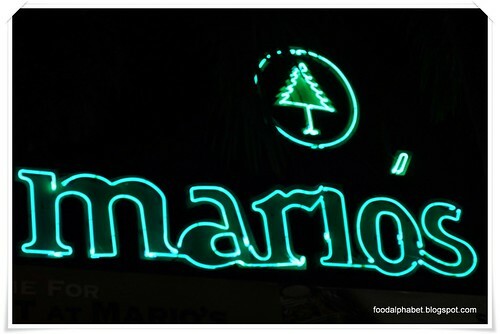 Admittedly I was still not in this world when Mario's was conceived, but seeing the fact that the original Mario's in Baguio and still up and going strong, I would believe that indeed Mario's will stand the test of time and will be a legacy for generations to come. 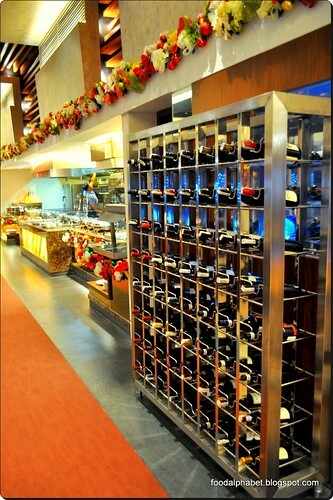 As the restaurant became known, locals and vacationers flocked to Mario's, Nenuca introduced the Spanish recipes she grew up with, passed on from generation to generation. 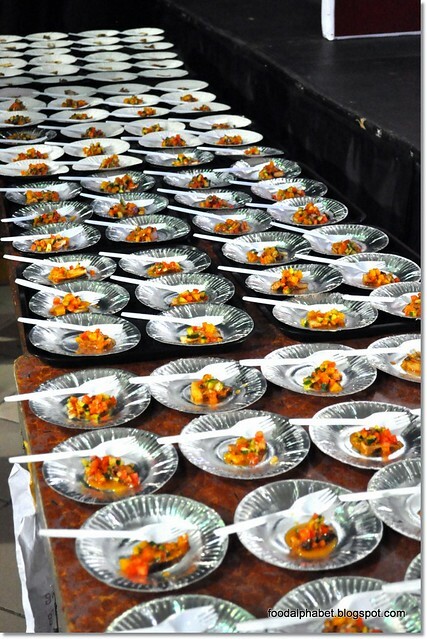 Then came the signature steak dishes, and finally, its crown jewel; Mario’s Caesar Salad, prepared tableside. DIVINE and UNREPLICABLE. Happy Holidays!! It is indeed beginning to feel like Christmas with the cool night breeze and morning glaze. 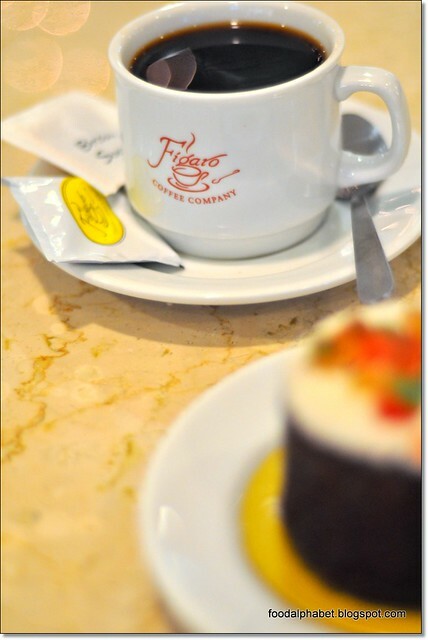 And now that the season of giving is near, Figaro introduces new pastries perfect even before and after the Yuletide Season. Rain or shine and sun up to sun down, Figaro now offers Christmas pastries to celebrate the festivities with you available now at all Figaro branches. Did you miss these babies? Yes they were out for a while, but they're back. 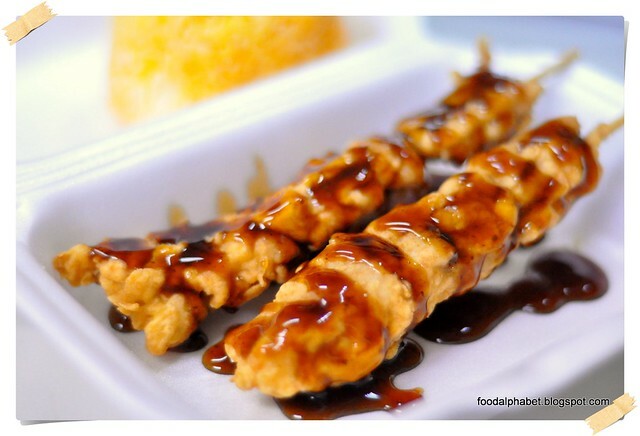 KFC's attempt to make BBQ chicken on a stick, which I would say is really far out. Yes we want them barbecued, that's the idea, but with KFC's original chicken so finger-licking tasty good, just add or shower them with KFC's BBQ sauce and there you have it!!! Hope they would stay on the regular menu for good! 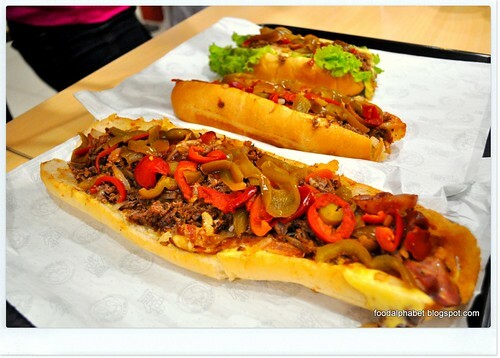 Get a stick maybe two and satisfy your cravings! KFC BBQ Rods are now available at all KFC stores nationwide! 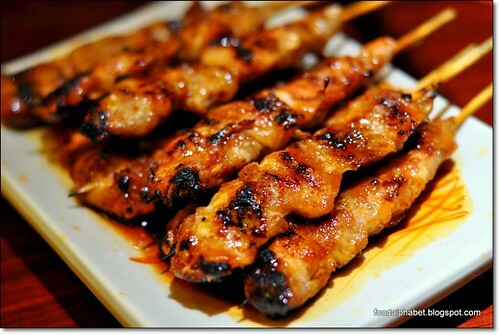 Order for only P65.00 ala-carte, P80.00 for a meal with drinks and if you are really craving for more, you can add additional BBQ rods at only P25.00 each. Get them now!! 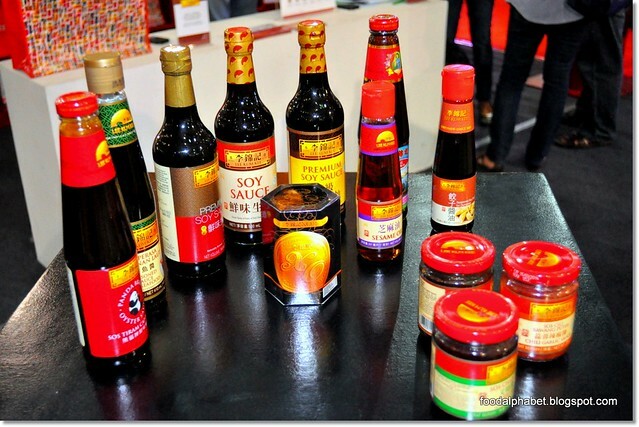 And yes they are great with Java rice. 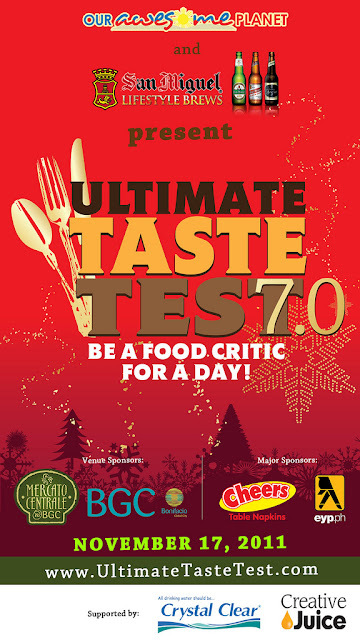 What: Ultimate Taste Test 7.0 -- Be a Food Critic for a Day! 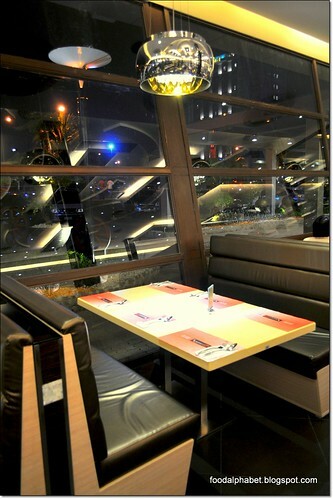 When: November 17, 2011, Thursday, 7.00 pm - 10.00 pm. This is the Ultimate Taste Test event you should not miss! It's that time of the year again. 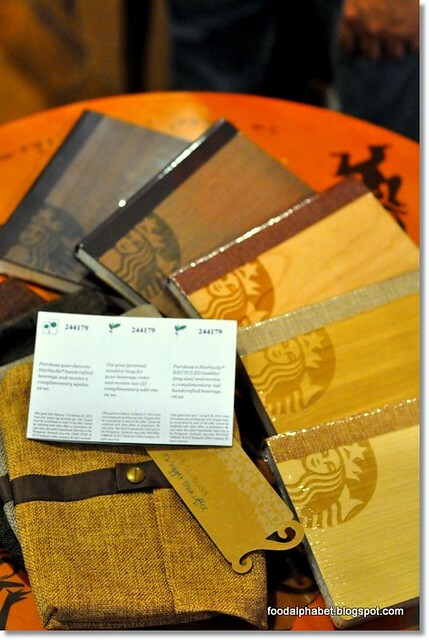 This year we celebrate with a bang, the gift of giving this Christmas season at Starbucks Philippines. Bring the family along, say Hi to Mom and Dad, say cheers to our family and spend the season of giving with friends, the Starbucks way. This year, aside from the much coveted Starbucks 2012 Planner, which is offered in 5 designs for the first time ever, Starbucks Philippines is also proud to showcase to you their Christmas offerings. Some old favorites and of course new Christmas beverages and treats that will surely make it to your favorites list as well. The newest addition to KFC's special edition burgers is here. The KFC Zinger Double Down! Pack with all the goodness of KFC's best ingredients to give you that ever satisfying finger licking good meal. 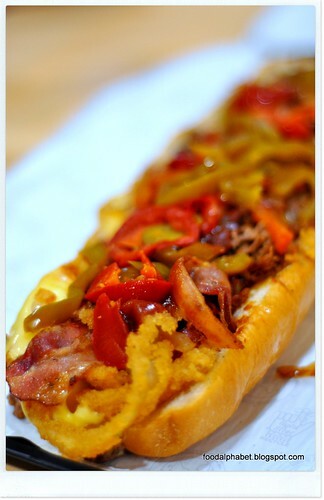 One of my favorites in KFC is of course the Zinger! Pure chicken fillet crisp fried and infused in the fillet is the spice that makes the Zinger one of the most loved chicken fillet burgers ever. It all started with the KFC Double Down, then the Tower Burger, but we still didn't have enough, so how about punk'd our Zinger and double the excitement! 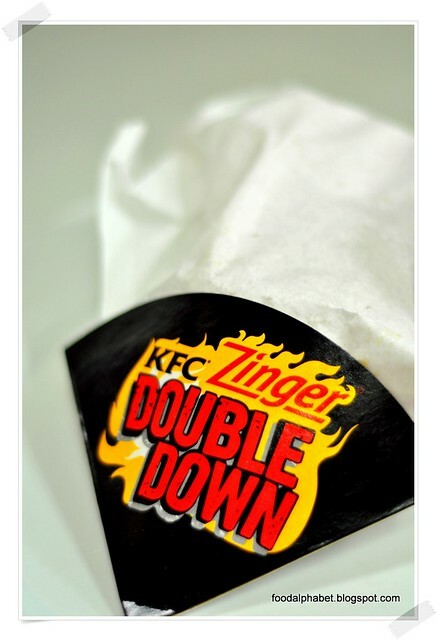 Add a few more delightful ingredients and drum roll please....The KFC Zinger Double Down. Feel the cool breeze? Well, it's that time of the year again and Christmas is just around the corner. 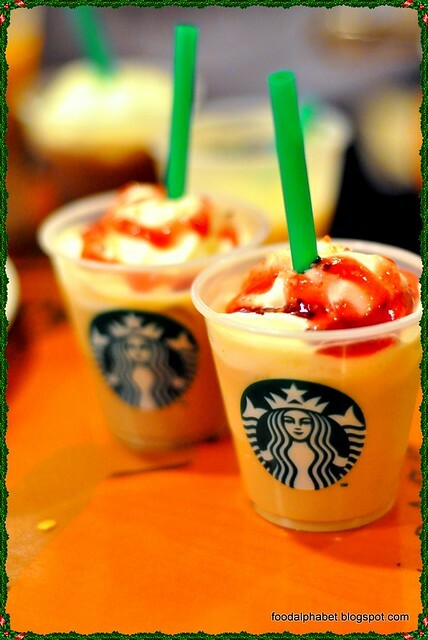 And at Starbucks Philippines, it is indeed one of their favorite time of the year. 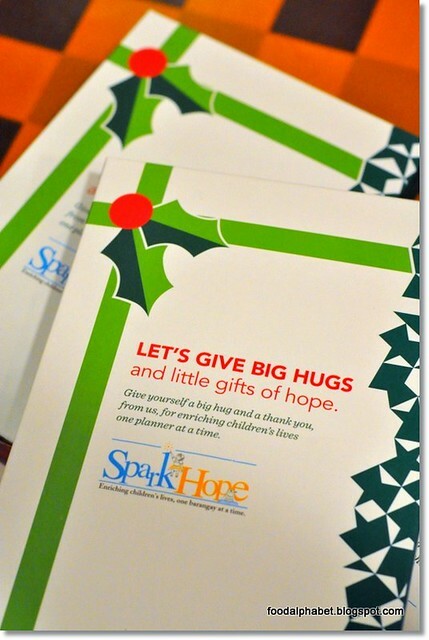 With all the gift giving, love sharing and of course Spark Hope, Starbucks very own give-back-to-community programme with UNICEF. Christmas has never been the same with Starbucks doing its part to give back to the community. 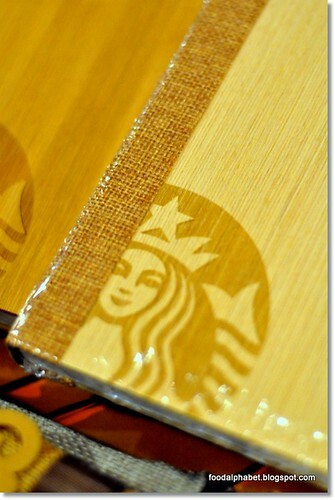 Christmas at Starbucks will never be complete without the Limited Edition Starbucks Planner 2012. And for the first time in 9 years, this year's planner will be available in five unique covers ( Poplar, Bamboo, Cherry, Spruce and Oak ). Calling all Parent and Kid cooking enthusiasts!! 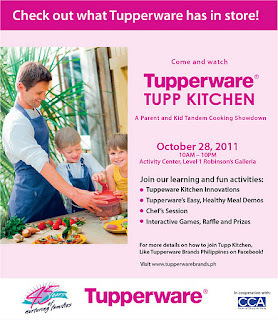 Be part of Tupperware's TUPP Kitchen contest on October 28 at Robinson's Galleria. 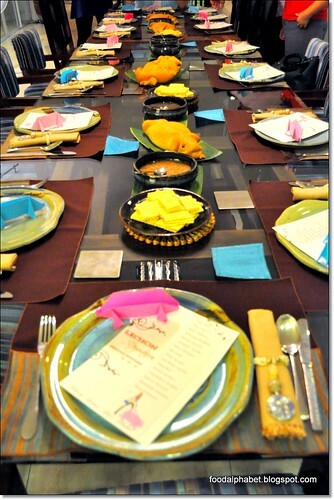 This is also in celebration of of Tupperware's anniversary in the Philippines! 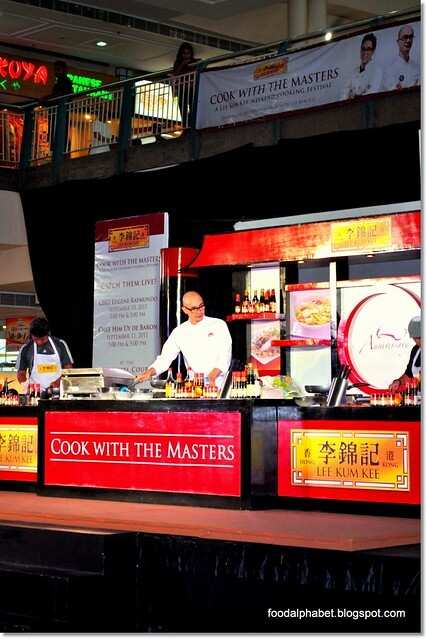 Belt out your cooking skills and show the world that you can cook! Awesome prizes await the grand winner!! So Join today! 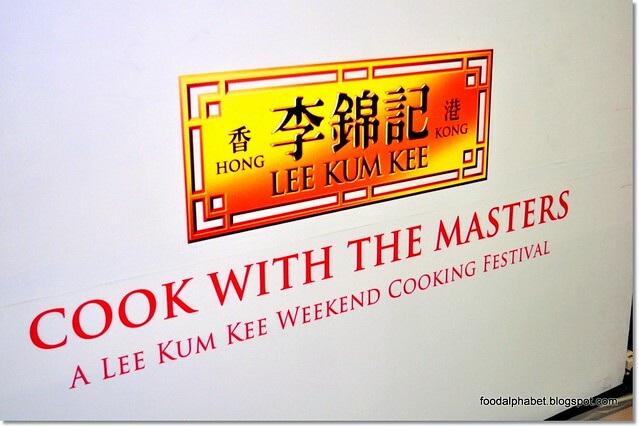 Be part of this great cooking event and enjoy other learning and fun activities. 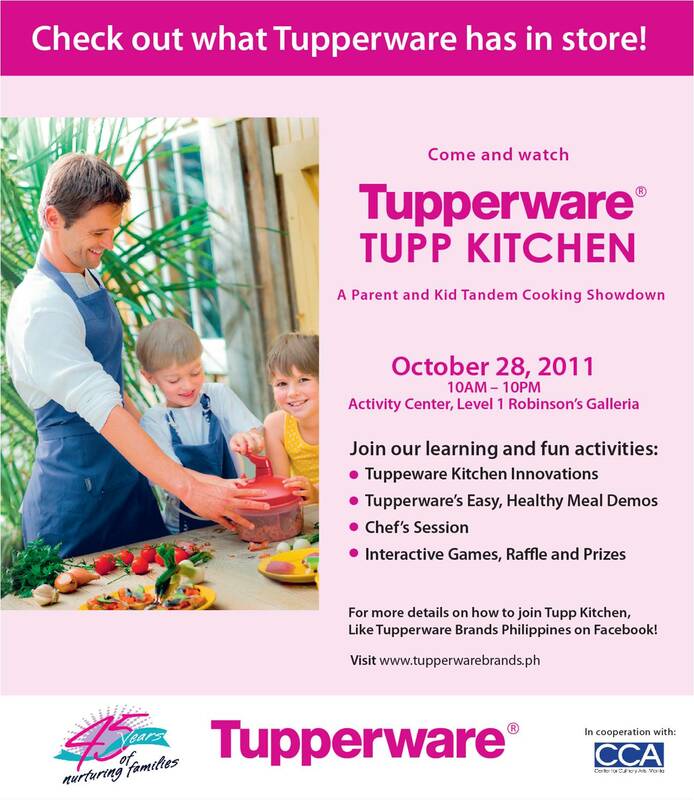 Like Tupperware Brands Philippines on Facebook to get more info on the event. Krispy Kreme celebrates Halloween with its annual favorite treat for the season. Kids of all ages would love to bite into these wonderful Halloween creations, Krispy Skremes. Grab a box of this season’s Halloween treats and choose from the Chocolate Iced with Halloween Sprinkles, a delicious doughnut smothered with chocolate icing and festive orange and black sprinkles; Spider Web, a delightful chocolate iced doughnut with Kreme filling and white icing; Jack-O-Lantern, a yummy pumpkin-shaped doughnut decorated with a mask of orange icing and jack-o-lantern face; and The Skull, a skull shaped doughnut smothered with white chocolate and filled with strawberry. 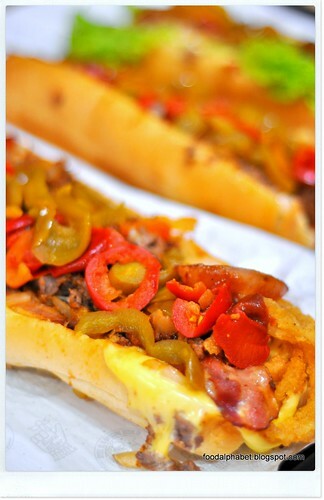 Krispy Skremes will be available on all Krispy Kreme stores nationwide starting October 14, 2011. 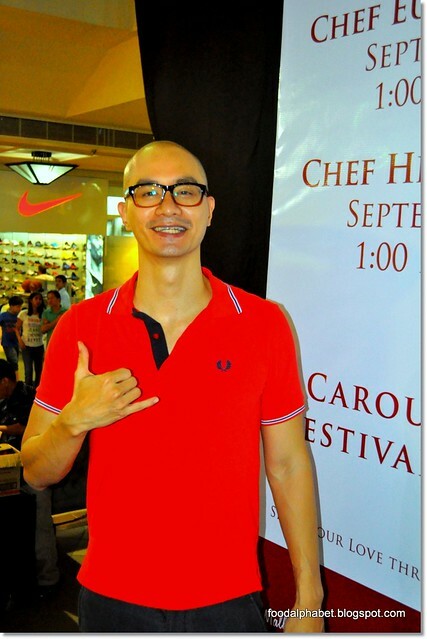 For more information, log on to http://krispykreme.com.ph.